The world can be a dangerous place for fathers. Temptation lurks around every corner. Instability threatens to knock us off balance and send us plummeting into darkness. We’ve become accommodated to a new idea of fatherhood in contemporary culture—a vision that is defined more by a father’s absence and distance than by his engaged and vibrant presence in the home. Fathers have too often been caught up in the malaise of day-to-day living. Tired from the long hours at the office, they have little resistance to several temptations common to dads. 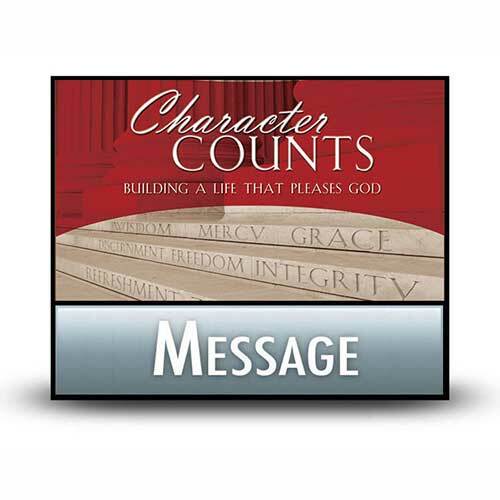 But what can be done to avoid the fall away from godly character? Copyright © 1990, ℗ 2013 by Charles R. Swindoll, Inc. All rights are reserved worldwide.